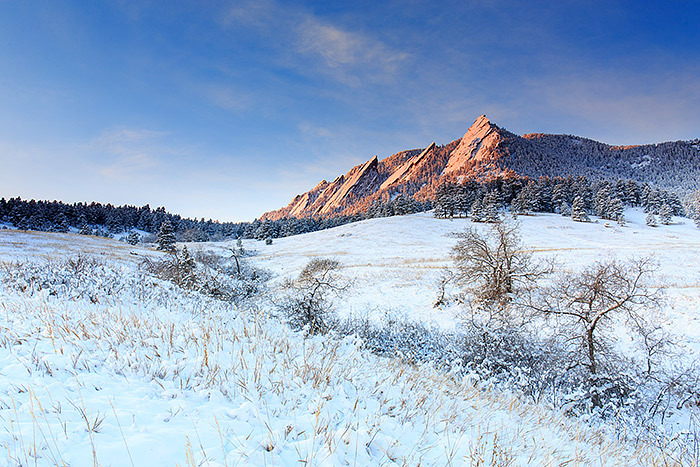 Warm rays of light turn the Flatirons of Boulder pink on a frigid but beautiful morning in Chautauqua Park. Fresh snow has dusted Chautauqua Meadow and the Ponderosa pines at the base of the Flatirons making for a perfect winter scene over Boulder. Photo © copyright by Thomas Mangan.